In 49 out of 50 states, you have to have an insurance policy on your car before you drive anywhere. In a similar vein, most of us need to take out a homeowners insurance policy before buying a house. Since you will need an insurance policy to buy a home with a mortgage, you might as well pick a good one. Take time to research your coverage options and familiarize yourself with the ins and outs of homeowners insurance to get a great deal on this important financial tool. The physical structure of the home. Your personal belongings inside the home. Additional living expenses (if you need to relocate following significant damage to your home). A standard homeowners policy will reimburse you for these expenses. But the amount you will end up paying for that coverage depends on how much the policy will reimburse, and exactly what kinds of accidents it will cover if you submit a claim. Carefully review your homeowners insurance policy to understand what it covers. 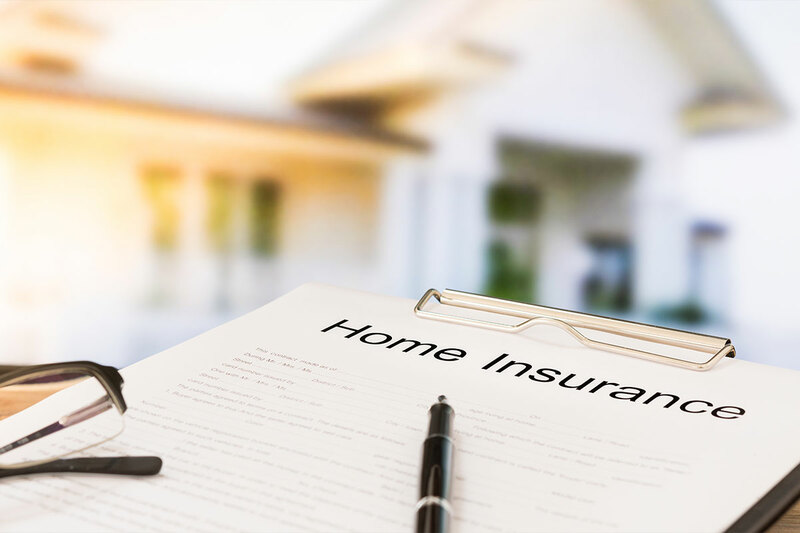 Although a standard homeowners insurance policy covers many of the most common causes of damage to your home or injury to its occupants or visitors, there are several events that it will not cover in the absence of additional policies (and often higher premiums). In insurance jargon, the various catastrophic events that could occur to your home that may or may not be covered by a policy are known as perils. Floods: If your home is located in an area prone to flooding, you may be required to purchase additional flood insurance. The National Flood Insurance Program, a federally funded insurance program, is the most popular option here. Earthquakes: While not included in a standard package, you may be able to add coverage for earthquake damage onto your homeowners policy, or take out a second policy, at additional cost. Maintenance damage: This includes damage that you are responsible for, either due to a lack of adequate maintenance or an accident. It also means accidental damage caused by maintenance professionals won’t be covered, although reputable home contractors should have their own insurance for these events. Appliances: Replacing your refrigerator will probably be covered in the event of a fire or other “peril.” However, homeowner’s insurance does not generally cover normal wear and tear. Sewer backup: This is a potentially catastrophic event that is not included in standard homeowners coverage. A complete list of perils is limited only by one’s imagination. If it’s not specifically listed in your policy, it’s better to assume it’s not covered and will require some other form of coverage. Take time to carefully review the documentation of any homeowners insurance policy you plan to purchase. Throughout the life of your policy, keep in contact with the insurer to remain informed on savings opportunities or other details on putting your policy to use. Finally, work with a lender like First Centennial Mortgage to find a home loan that meets your financial goals.